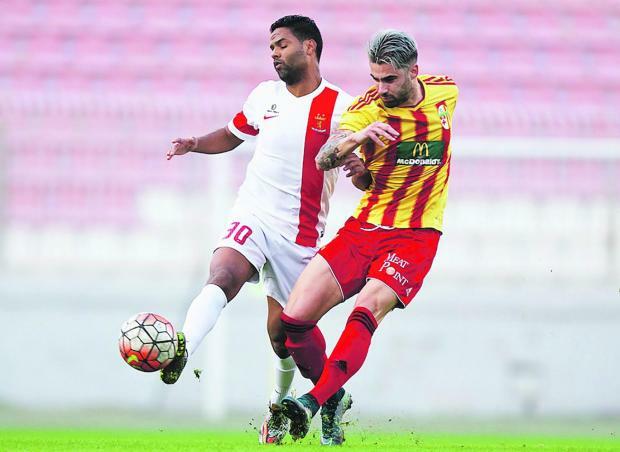 Birkirkara midfielder Rowen Muscat is to continue his season in Italy after signing for Lega Pro club AC Pavia today. Muscat, widely regarded as one of the best players in Maltese football, has joined Pavia on loan until the end of the season but the Italian club have an option to make his move permanent come May. The 24-year-old’s switch to Pavia ends all the speculation about his future as Muscat had been on the verge of joining Ascoli during the current transfer window but the move broke down. The Malta midfielder travelled to Italy earlier this month to complete his switch to Ascoli but was unable to complete his medical as he was suffering from bronchitis at the time. For much of the past two weeks, Muscat’s future has been the subject of endless speculation as Birkirkara tried to revive discussions with Ascoli before Pavia made their move with sources claiming that they matched the deal the Stripes had agreed with Ascoli. Pavia are sixth in Group A of the Lega Pro championship, the third tier of Italian football.